You are cordially invited to….. 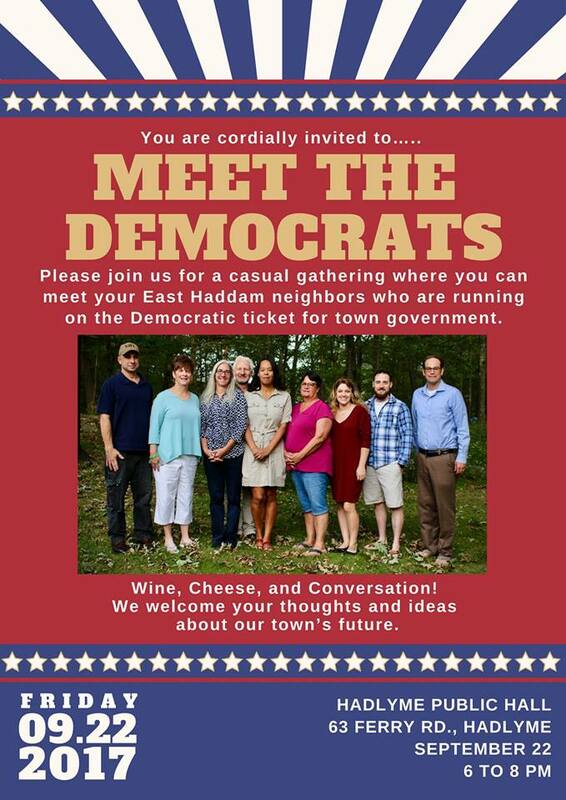 Please join us for a casual gathering where you can meet your East Haddam neighbors who are running on the Democratic ticket for town government. We welcome your thoughts and ideas about our town’s future.